Superior Debt Relief has some of the most experience in the debt settlement industry; they lack multiple key accreditations. For nearly 20 years now, Superior Debt Relief (SDR) has been providing debt relief and counseling to people who find themselves in over $5,000 of debt. This is one of the longest-running debt settlement companies in the industry, which leads us to believe they know how to work with creditors and quickly settle debts. Reviewers mention that SDR consultants make them feel informed and at ease about their situation. Almost every review mentions excellent customer service at some point, and most seem completely satisfied with their SDR experience, which is why they have an average user score of 9.8/10. Read more Superior Debt Relief reviews below for detailed descriptions. On its website, SDR promises a money back guarantee on their service fees. While we are not sure if the guarantee has an expiration date, we are impressed that they publicize this on their website (most companies do not). You can call SDR for a free consultation over the phone. You will never be charged upfront fees. Superior Debt Relief is one of the only major debt settlement companies that lack federal and industry accreditations. While they are accredited with IAPDA, they are not accredited by the AFCC. This lack of accreditation means they are not held to higher industry standards, and that they are not working with debt settlement organizations to better the industry. SDR is only available 28 U.S. states. States not serviced are CT, GA, HI, IL, ID, KS, KY, LA, ME, MT, ND, NH, NJ, OR, RI, SC, TN, UT, VT, WA, WI, WV, and Washington D.C.
You must have over $5,000 in debt to work with Superior Debt. If you have less debt, you should be able to find another settlement company to work with. There are not very many complaints about SDR. One reviewer mentioned she thought debt settlement companies, in general, were too expensive. Some reviews said they wished they had seen results sooner. Not everyone can work with SDR. First of all, they are only available in 29 states. On top of that, you must have at least $5k in debt to even be approved. While SDR has some of the most experience in the debt settlement industry, they are missing key accreditations. How Much Does Superior Debt Relief cost? About 19% of debt enrolled, but varies by state. If you go with Superior Debt Relief’s settlement program, you will be charged a percentage of the amount of debt you enroll. Even if the debt goes up by the time you start the program, the company will still honor the original balance amount rather than increasing the fee. You can expect to pay about 19% of the debt amount that you enroll. However, this percentage rate varies from state to state so you’ll need to ask about your state’s specific rate during your consultation. Are There Any Up-Front Fees? Can I Get A Free Consultation? Yes. Superior Debt Relief offers a free consultation. Does Superior Debt Relief Offer A Money-Back Guarantee? Clients may cancel from the program at any time without penalty or obligation. Superior makes it clear that all the money that the customer puts into savings is wholly owned by the customer, not the company. If Superior is not able to settle an account to your liking, your money is yours to keep and the company will not collect payment for that account. What Types of Debt Does Superior Debt Relief Work With? They work with unsecured debt only, as do most other settlement companies. Secured debts, or debts in which a creditor holds something of value as collateral, cannot be added to your settlement program because such debts are rarely negotiable. However, Superior is willing to help you resolve what you owe on the balance of secured loans if the collateral is repossessed or foreclosed. Superior Debt Relief was established in 1998 in order to ethically help consumers lower their credit card debt while encouraging them to develop smart financial habits. The company has even lobbied Congress for consumer advocacy legislation. 17 Years. They have been assisting debtors since 1998. The company has membership in several professional organizations, such as the International Association of Professional Debt Arbitrators and the United States Organization of Bankruptcy Alternatives. Superior provides excellent debt education through monthly newsletters, an informative website, and with professional financial advice for clients. The monthly newsletter contains money-saving tips and ideas and a spotlight on a current client’s unique story of struggle and progress in debt reduction. There is a decent archive of financial articles on the website with clear explanations about how debt settlement works. The website explains the Fair Debt Collection Practices Act (FDCPA) so customers know what rights they have and what they can do if the law isn’t being followed. Perhaps one of our favorite features is a really great debt calculator: it gives you the numbers and timelines that other calculators have, but it also tells you, “with the amount of interest you are paying, you could have bought…” The calculator can compute figures for your credit card debts, but also your secured debts such as car loans and mortgage loans. Additionally, once clients are freed from their debts through Superior’s settlement program, they will be provided with expert advice on remaining debt-free, building a financially secure future, and improving credit ratings. They offer a mobile app with a debt calculator, blog posts, multiple other education resources, company information and much more. The website is updated regularly—something that far too many companies lack— which gives this company major points for being current. With some work on their Facebook and Twitter pages, the folks at Superior Debt Relief could be connecting with their customers even more than they do with the monthly newsletter. They offer debt settlement, negotiating with your creditors to minimize your total debt so that you end up paying only a fraction. The company points out that with consolidation programs, on the other hand, you are still paying 100% of your total debt (plus fees to the debt management company), even if it is at a lower interest rate. Additionally, consolidation programs usually take much longer than do settlement programs. So while settlement is Superior’s only service, settlement is exactly the type of relief that many debtors are looking for. Individuals with at least $5,000 of unsecured debt are candidates for their program. Debtors considering a settlement program will have the most success if the majority of their debt is outstanding credit card debt because it is the most negotiable. Customers should also have a monthly budget so they can faithfully make payments, as well as a genuine commitment to avoid bankruptcy. Clients have access to their accounts online to see what is happening at any time. There is also a lot of correspondence with representatives from the company via phone, email and postal mail. Clients have the option to choose how often and what form of communication they receive. The minimum that the company will reach out to you is once a month, yet there is often more communication needed depending on what is happening with your account and your creditors. *Superior is not accredited with the AFCC, however, they are BSI certified. BSI is the body that runs the AFCC certifications. They are IAPDA (International Association of Professional Debt Arbitrators) accredited members. Are there any inaccuracies in this review? We take our accuracy very seriously and would love your feedback. Give feedback here. What additional info would you like added to the review? 1 people found this review helpful! Very helpful I would recommend to any body to use their services. 3 people found this review helpful! that why Iam came to you for help and you did great job! After reading so many wonderful reviews, I decided to give Superior Debt Relief a call. I spoke with a gentleman named Milt. He was very patient, courteous and extremely knowledgeable. I hung up feeling like my very tough situation was going to be handled as easy as possible. So far so great! Superior Debt was great . Dee Galla help me through every step of the way and was always checking in with me to make sure every thing was going good and if I needed any thing. The whole process went pretty quick and I am now debt free and my credit rating is back to good. Superior help me when I was over my head in debt and help me see the light at the end of the tunnel. I would highly recommend them to any one that is in need of their services. 0 people found this review helpful! Amy Hill went above and beyond with my file.Everything was done in a very timely manner and it was over before I knew it.Highly recommend to any one with debt issues.5 star rating. Superior customer service. Would definitely recommend utilizing thier services. I am so glad that I decided to go with Superior Debt Relief to help me out. It was a three year program and so glad to say I am finished and feel so much better knowing that I am debt free. I appreciate everything they did for me. A big thank you to Priscilla, Les and Marie for everything. I would definately recommend Superior to anyone that needs help with debt. Amy Hill was very helpful. She answered all my questions and was very supportive during the process. There were times that I was getting frustrated with all the phone calls from the credit company and she helped me out. Now I’m “DEBT FREE” ever since Superior Debt Relief helped me out on my last settlement. 2 people found this review helpful! Superior Debt was a blessing. My wife and I had found ourselves in a hole with mounting debt and no way out. I don’t remember how I found Superior Debt, but I’m glad I did. From setup until my final payment, everyone at Superior Debt was wonderful to work with. My advisor Les helped me throughout the program and worked with me when we hit some rough spots. It took a little longer than I had hoped to get through, but last fall we were done. Thanks to everyone that helped along the way we are in a much better place now then we were at the beginning. I would recommend Superior Debt to anyone that finds themselves in the same position I was. Superior Debt is an awesome company. When Marie told me, it was finished 2 1/2 years of guilt, shame, and relief came to an end. I felt I could stand proud as I had worked hard and saved to get all my debts taken care of. I have learned a lot and am now in the recovery phase of the program! Thank you Marie Chamberlain for all your help! You are AWESOME! I have been with Superior Debt company for 2 years + and it has been wonderful dealing with them. I will miss Les Britingham when he retires but I am confident that who ever takes his place will do great!! Superior went above what they promised to achieve. I believe the results I got were only because I went through a debt relief company. I tried on my own to talk to my creditors but they would not even discuss lowering my debt. I would recommend Superior to people like myself that would have been paying the minimum payments for the next 20 years or more. The only other advise is to remain patient. This doesn’t happen overnight, but it does happen. 4 people found this review helpful! 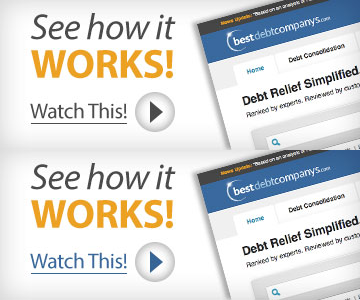 There are a lot of companies who advertise their ability to help with debt relief. But it’s hard to imagine a company as competent and thorough as Superior Debt Relief. Yes, they professionally negotiate fair settlements that are always agreed upon by the client before finalizing. Yes, they possess a great knowledge of the entire process. Yes, they understand the nuances of the credit organizations which helps to foster healthy relations. -Provide a website that is simple to use and let’s you know where you stand all the time. -Return phone calls promptly and timely. Although 99% of the time you are able to reach your intended party almost immediately. -Proactively communicate via email (and phone) to appraise the client of updates and expectations. -Thoroughly and completely answer all questions with clear succinct answers. No matter how many times you ask the same question over and over, it’s patiently answer with a high degree of detail and information. I was assigned to a Customer Service Representative named Marie Chamberlain. I have corresponded with Marie for the last two years and I am continually blown away by her extremely high level of service and expertise. She has made this endeavor enjoyable and rewarding, while providing the peace of mind clients truly want and need. I highly recommend Superior Debt Relief without hesitation. It has been a pleasure working with Marie and the entire organization. The thought of being a single mom in a debt crisis was the most horrifying period of my life. After being a good provider during the period when we were all living above our means to a financially broken, desperate woman fighting to keep my home. After reading a great book “Debt Free Millionaire” the author specifically recommended Superior Debt Services by name. From the very beginning the team at SDS made me hopeful and although I had a big nut to pay every month I was able to live within my means and recover. Marie was with me every month when I needed her or just needed to better understand the process. I was a rough 3 years, but a lesson financial responsibility that I will never forget and have been able to pass on to my kids. I personally had a really good experience with Superior Debt Services. They were very helpful and understanding and they never made me feel bad about the situation I was in… I would like to thank all the SDS Staff, and especially Les, who helped me get back on my feet! I really appreciate everything you’ve done for me! 5 people found this review helpful! I was very hesitant in the beginning about doing debt settlement. I thought it would never work for me. I am very glad I chose Superior over all the other companies. Superior gave it to me straight and at an amount I could afford. Marie C. is the best!! Very professional and was always there to answer any questions I had. 10 accounts totaling over $28,000 and 3 years later I am debt free and looking forward to moving on. I would recommend Superior to anyone in need of help in becoming debt free. Thanks Superior!! 6 people found this review helpful! On my initial call I felt that I received detailed info on what the process would be for me. Once I started and was told exactly what I needed to do I felt like I was in capable ‘hands’ and a feeling of relief overcame me just knowing that I was on my way to becoming debt-free. Throughout the process Marie was very good in updating my status via e-mail and phone calls. She walked me through solving any problems that occurred. Additionally, I am so grateful to her for recommending John Wilson of Colorado Credit Repair who currently is helping me with ironing out my credit report. I’m very please with the service and results I recieved from Superior Debt and would recommend them to anyone who may be having debt problems. Did a an awesome job settling accounts and even after program has ended still willing to help repair credit. Highly recommend for those looking to become debt free and education on how to continue to be free from the credit card handcuffs. Takes your existing debt and try to settle with your creditors for a lower amount. If you pay off the settled amount, your debt will be considered paid in full. Negotiates with your creditors on your behalf. Fee based on a percentage of your total starting debt or a percentage of the debt they save you. Most settlement companies have you create a separate "escrow" account where you will make monthly contributions over a certain amount of time to contribute to your settlement. Once there is a substantial amount of funds to show your creditors, the settlement company will try to negotiate a lower amount of debt. Combines all your debts and creditors into one monthly payment. Allows you to pay one monthly payment to the consolidation company, instead of multiple payments to different creditors. You no longer owe your original creditors; instead you pay one monthly payment to your consolidation company. Consolidation companies can help negotiate lower interest rates on your debts and help lower your total debt payment in the long run. A lower interest rate will lower the amount you owe in the end. Allows you to consolidate all your different debts into one personal loan that can be paid off over time. Can offer borrowers a lower interest rate with a longer payback term (compared to high-interest credit cards or medical bills). This will lower the amount of money required to pay off the loan over time. Personal loan debt consolidation can be an effective way to raise your credit score quickly (within 3-6 months). Borrowers can receive funds from their loan within only a few days. If there is a debt company that you don't see on our site, and would like us to review, please contact us. With so many debt relief companies out there, and a lack of sites willing to bring you the HONEST breakdowns of each company, what source can you turn to for the real information you can trust? We are dedicated to bringing the truth out, and rank debt relief companies as they should be. Through our investigation, and experience with each company, we rank each company, and bring you our honest, unbiased opinion. We also include authentic user reviews by past customers of each company that are moderated and verified. Like many sites, we are compensated through affiliate relationships with each company we review, however all of our rankings are based on our 11-Point Ranking Criteria. By submitting this form, I consent to receive calls using automated technology from Superior Debt Relief at the number provided and understand this is not a condition of purchase.